I’m happy to announce that Emma Clifton, one of my fellow authors of Five Glass Slippers, has published another fairy tale-themed story! A fairy godmother—in prison? Madeline can’t remember even being a fairy godmother, let alone doing something bad enough to land her in a cell. When a mysterious lady sends her back to her old village with cryptic instructions and no answers to her many questions, Madeline must find a way to free her father, who has been imprisoned in a tower by a terrible beast. First banished by his father the king, then cursed by an angry fairy, Prince Darcy will do anything to escape this fate and achieve revenge and power. Just when he thinks his chance has arrived, by some cruel trick of fate a girl from his past returns and once again wreaks havoc on his life. Worse still, he begins to question what he truly desires. Check out Corroded Thorns on Amazon and add it to your Goodreads shelf! 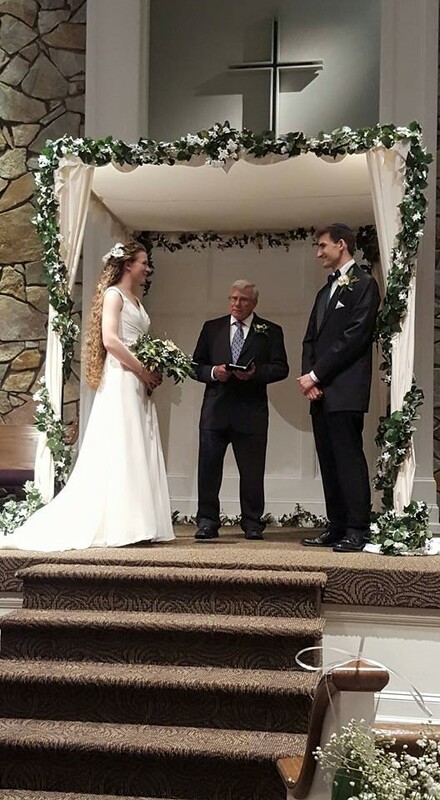 I got married! I had a blissful honeymoon! I moved! My car died! It’s been an eventful month. Married life is FANTASTIC. I highly recommend it. Two thumbs up. 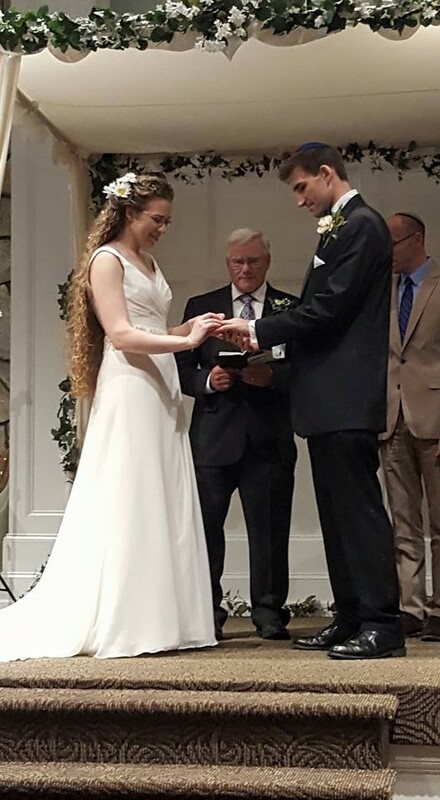 Here are some more ceremony pictures, courtesy of friends and their smartphones. 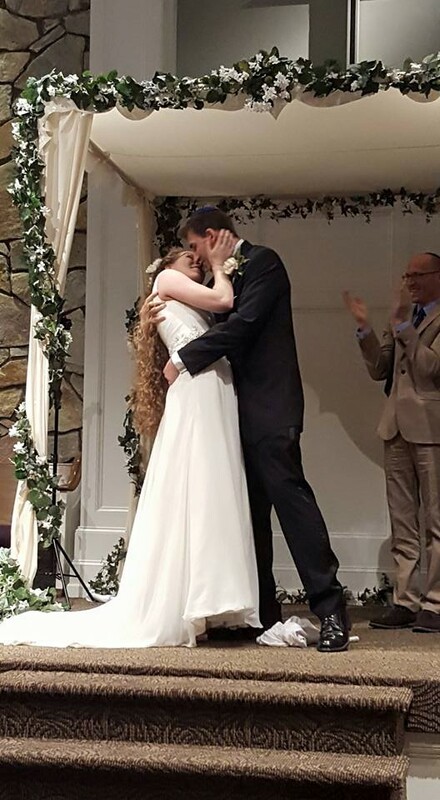 We incorporated both of our backgrounds: the ceremony was held in Ross’ Christian church, performed by my pastor who is also my uncle, included a Messianic Jewish blessing by Ross’ rabbi, was held under the Jewish marriage canopy, and included the Jewish tradition of breaking the wine glass. 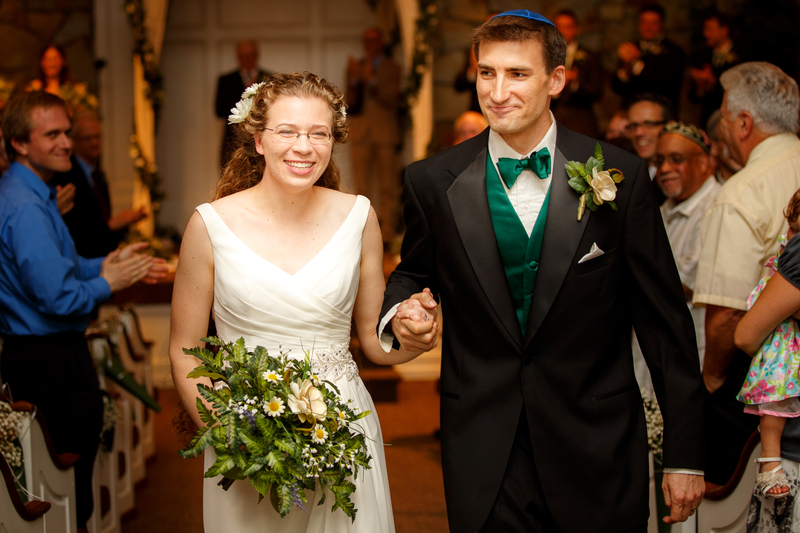 It was a wonderful day–and every day since then has been wonderful too!